1.1 How should the diet for COPD be? How should the diet for COPD be? 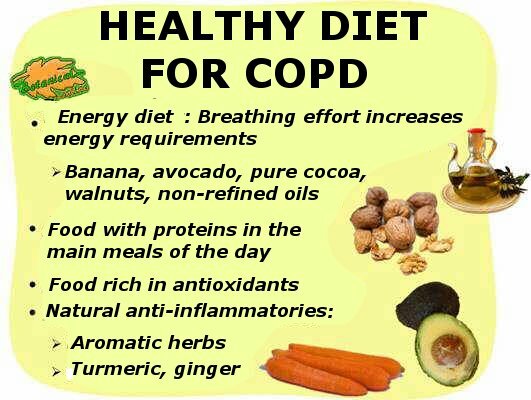 The recommended diet for COPD or chronic bronchitis is a diet based on natural, nutritious and energetic foods that provide all the necessary requirements to help improve the health status of the body. It will also include a series of foods with bioactive components that provide antibiotic, anti-inflammatory and antioxidant properties that can improve the symptoms of the disease. The diet should be adequate in calories, as it has been shown that these patients have a hypermetabolic state. Energy needs are increased by the effort of the thoracic musculature during breathing. We recommend a healthy diet, and increase calories according to diet tolerance with dense natural foods in quality energy. For inappetent and elderly people, it is very appropriate to dress the dishes with a good virgin olive oil t to increase its energy value and to provide healthy fats. If obesity exists, it is advisable to take more care of the quality of the food in the diet to avoid gaining weight, which would worsen the progression of the disease and decrease the quality of life. For this it is recommended to avoid the consumption of foods with high glycemic index such as bread, pasta and foods with added sugars. During metabolism, carbohydrates produce more CO2 than fats, so you should avoid overloading meals with these foods. The digestion of carbohydrates produces a lot of CO2 and causes the lungs to have to remove large amounts of this gas. It is preferable to consume unrefined complex carbohydrates such as potatoes, sweet potatoes, lentils, oat flakes, rice, buckwheat or chickpeas. The diet should contain oils (olive oil, hazelnuts, walnuts, almonds, chia seeds, flax,…) and contain balanced carbohydrate rations (dish of legumes, rice, etc. ), especially moderating the bread, biscuits and products with added flours and / or sugars. Protein is essential to maintain respiratory muscles. It is worth mentioning that breathing exercises also contribute greatly to improved breathing (consult with an experienced physiotherapist). The protein requirements of these people are similar to those of the general population, but often these people feel tired and forget to take protein-containing foods usually in their meals, especially in the case of elderly people with financial problems or chewing defficiencies. Protein foods should be present at all meals. The most recommended protein-foods are: fish and especially small oily fish, as it also provides omega-3 fats with anti-inflammatory properties. They are also sources of protein: tofu, tempeh, legumes, eggs and white meat. Lack of protein in the diet can lead to malnutrition of these patients, and occurs in both obese and thin people. Salt intake should be reduced, especially if the disease is advanced. Poor ventilation causes hypertension in the lungs. Excess salt can aggravate this situation. It is always more convenient, both in healthy and sick people, to use more herbs than salt to maintain the sodium-potassium balance of the diet and avoid aggravating hypertension. This recommendation should be more stringent when taking medications for hypertension, in which case it is recommended to take little salt and increase the consumption of foods rich in potassium such as herbs, legumes and bananas. There is a beneficial relationship of vitamin C, vitamin E and beta carotene on lung function due to its antioxidant effects. It is interesting to eat foods rich in vitamin C for its role in improving the immune system, as people with COPD are more prone to respiratory infections. This vitamin is found in great concentration inside the leukocytes, the defensive cells of the body. Carry out 4-6 meals a day: spread meals and avoid meals too abundant or copious, so as not to feel the sensation of fatigue during digestion. Add olive oil to the dishes: especially when there is anorexia, you should take care of completing all the dishes with olive oil. Oil increases the caloric and vitamin value of the dishes and does not occupy volume in the stomach. People with COPD should take enough calories a day to avoid malnutrition. Increase the dose of antioxidant vitamins: antioxidant vitamins help the body to fight inflammation and improve the effect of dietary Omega 3 fats. It is recommended to take a carrot smoothie a day, or we can also add pollen to the yogurts for the contribution in beta carotenes. Avoid foods that require a lot of chewing, difficult to digest and flatulent. Many people with COPD feel fatigued, depressed, and moodless, which means they eat fewer meals or skip meals. For this, soft cooking is recommended, since they are less satiating and can be eaten larger quantities. For example, vegetable creams (with potatoes and oil), boiled potatoes with vegetables (with oil), etc. Very energetic foods are nuts and some fruits, among which nut, banana, avocado and pure cocoa (80% or more) are especially recommended. 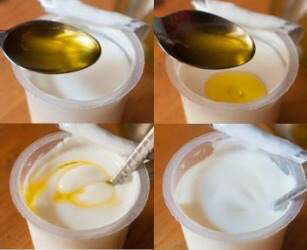 In cases of high inappetence, you can even add 1 tablespoon of virgin (unrefined) oil in the yogurts and mix well for 4 minutes. The taste is not noticeable and instead, it provides energy and vitamin E.
Energy foods: chickpeas, potatoes, bread, peas, rice, hummus, beet hummus, etc. In moderate portions, and always cooked with vegetables and unrefined oil. Look for soft textures that do not cost chewing. 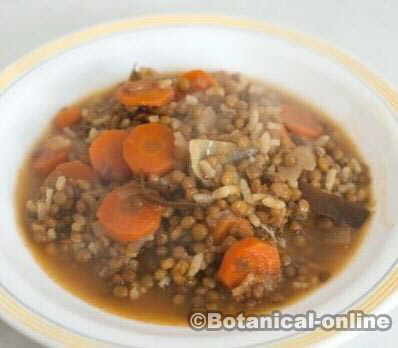 Legumes are recommended to be cooked for a long time to be more digestive. Proteins: the rations will be 200250g. Blue fish should be enhanced. Vegetarian people should take eggs, dairy or other vegetarian protein choices, among which it would be advisable to sprinkle brewer’s yeast or spirulina powder on the dishes for their contribution in protein. Carrot salad grated and seasoned with lemon. Millet with onion and raisins. Use sweeteners to avoid excess of sugars. Sugar generates a higher respiratory quotient and can cause fatigue. A good sweetener is stevia leaves or raw honey, but always in moderation. Drink water throughout the day. Avoid taking too much water in one go. Avoid adding salt to dishes: use herbs or spices to flavor. Salt is not convenient. Avoid spicy spices. 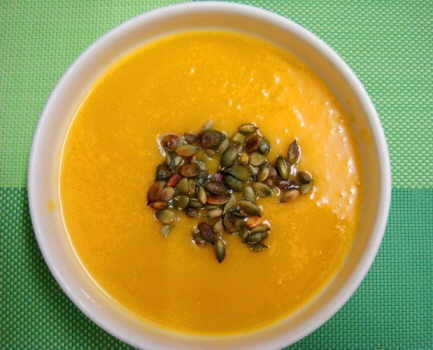 Recommended diet for COPD or chronic bronchitis, with the most advisable foods. 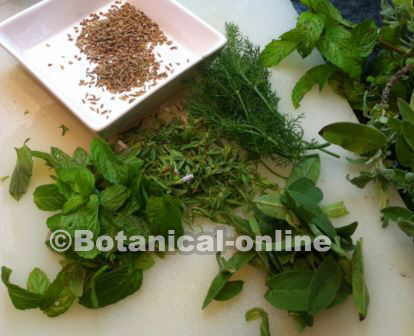 The most anti – inflammatory plants are present in our daily diet, since they are aromatic herbs and spices: rosemary, sage, savory, lemon balm, oregano, thyme, basil, anise, caraway, cumin, celery, etc. Infusions and fumes (vaporizations) of these plants will also be advisable for bronchitis by helping to dissolve the mucus and expel them. Pure essential oils should not be used, which are totally contraindicated. Turmeric (Curcuma longa): excellent antiinflammatory and antibronchial properties. It can be used in recipes or take golden turmeric milk. 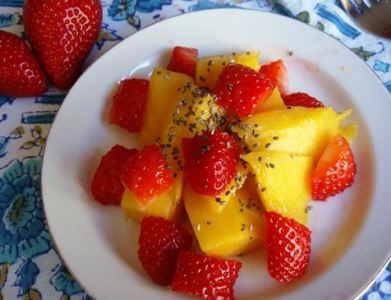 Combine with a pinch of black pepper to increase the absorption of its principles. Powdered spice: be careful not to inhale !!! Ginger (Zingiber officinale): is a potent antiinflammatory and analgesic. Ingestion of this food decreases inflammation. You can take infusion of ginger or use it as a spice in meals. If used powder: be careful not to inhale !!! Avoid spicy spices that may cause coughing. If a spice or herb causes coughing, do not take it. Bad fats: fatty meats such as lamb or fatty parts of veal, pork, cow or viscera, pates, sausages, industrial sausages, industrial hamburgers, etc. They should not be taken. These are rich in saturated fat and cholesterol, which help in the inflammatory processes of the body. Nor should you take butter, fatty cheeses or products derived from them like industrial pastries, cream, fatty dairy desserts, etc. Food very rich in salt: canned or salted, bouillon cubes. NonFat Dairy: Lowfat dairy is recommended to reduce intake of saturated fat and cholesterol in the diet. Saturated fat causes inflammatory processes in the body. Sausages: avoid the consumption of processed meats, as much in bronchitis as in any healthy diet. If medications are taken, a diet with food to improve intestinal flora and probiotic supplements may be desirable. More information on COPD characteristics, remedies and diet.